The Australian influencer Nicole Warne of Gary Pepper Girl decided to got married in Rippon Hall, a biodynamic vineyard in Lake Wanaka, New Zealand. With 1.7 million instagram followers and an online presence that was launched 9 years ago, Nicole decided to wear 3 different stunning couture dresses for the occasion. For the ceremony she wore a Valentino Haute Couture gown made out of 38 meters of silk organza embellished with handmade silk flowers and petals encrusted with crystals and sequins. Twenty embroiders used 17 meters of silk tulle to create the embroidery during the period of 4 weeks and the result was one of a kind gown of silk organza with long sleeves. 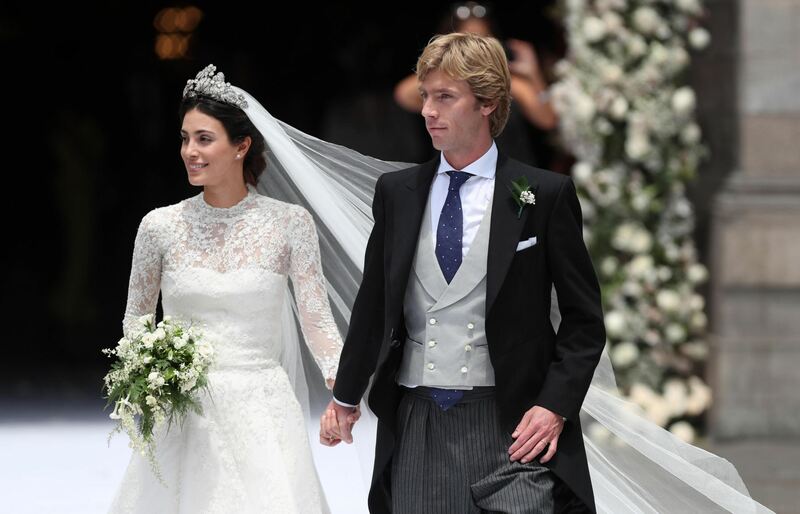 After the stunning ceremony, Nicole changed into an espectacular Oscar de la Renta gown for the reception . The ruffled gown was created with seven layers of materials bonded together to create the dramatic Spanish flair that Oscar injects in most of his gowns. It took the experts of Oscar de la Renta atelier 300 hours to make the dress, which was designed by the creative directors Laura Kim and Fernando Garcia. For the after-party, Nicole chose to wear a dress by one of her favourite designers Dion Lee. It was a short white satin dress with asymmetric neckline and cut out details that allowed her to dance all night and enjoy one of the most special nights of her life.